“The One That Got Away” — Pictured: Chris O’Donnell (Special Agent G. Callen) and LL COOL J (Special Agent Sam Hanna). 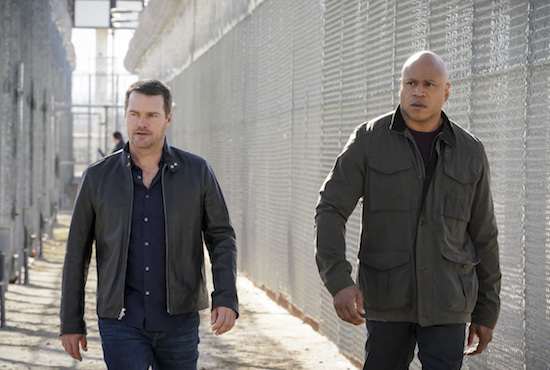 After Anna Kolcheck (Bar Paly) escapes from prison with her cellmate, Callen and the NCIS team assist with the investigation and search for her whereabouts, on NCIS: LOS ANGELES, Sunday, April 28 (10:00-11:00 PM, ET/PT) on the CBS Television Network. Photo: Bill Inoshita/CBS ÃÂ©2019 CBS Broadcasting, Inc. All Rights Reserved. CBS has renewed its two NCIS spinoffs, NCIS: LOS ANGELES (season 11) and NCIS: NEW ORLEANS (season 6). NCIS: LOS ANGELES returns tonight! "To Live And Die In Mexico" -- Pictured: Eric Christian Olsen (LAPD Liaison Marty Deeks), LL COOL J (Special Agent Sam Hanna) and Chris O'Donnell (Special Agent G. Callen). Gravely injured and unable to communicate to the team in Los Angeles, Callen, Sam and Kensi, with an unconscious Deeks in tow, search for help and a way home during their off-the-books mission in Mexico, on the tenth series premiere of NCIS: LOS ANGELES, Sunday, Sept. 30 (9:30-10:30, ET/PT), on the CBS Television Network. Photo: Cliff Lipson/CBS ÃÂ©2018 CBS Broadcasting, Inc. All Rights Reserved. "Deep Trouble, Pt. II" -- Pictured: Daniela Ruah (Special Agent Kensi Blye) and Eric Christian Olsen (LAPD Liaison Marty Deeks). Callen and Sam are trapped in an armed submarine that terrorists have on course to hit an aircraft carrier in San Diego. 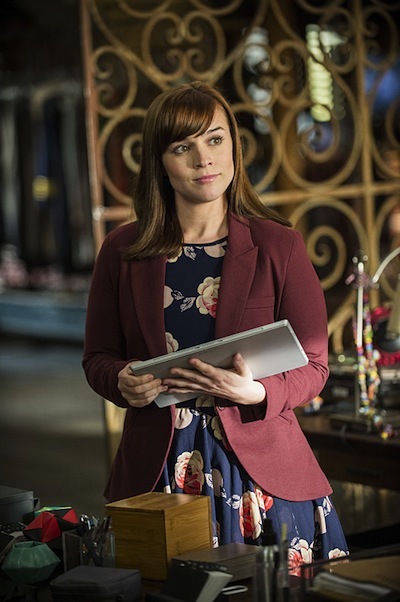 Meanwhile, Hetty defies orders and forgoes her trip to Washington as the team tries to locate and save Callen and Sam and prevent the terrorist attack, on the sixth season premiere, on NCIS: LOS ANGELES, Monday, September 29, 2014 (10:00-11:00, ET/PT), on the CBS Television Network. Photo: Sonja Flemming/CBS ÃÂ©2014 CBS Broadcasting, Inc. All Rights Reserved. NCIS:LOS ANGELES’ new season kicks off tonight at 10 PM on CBS.